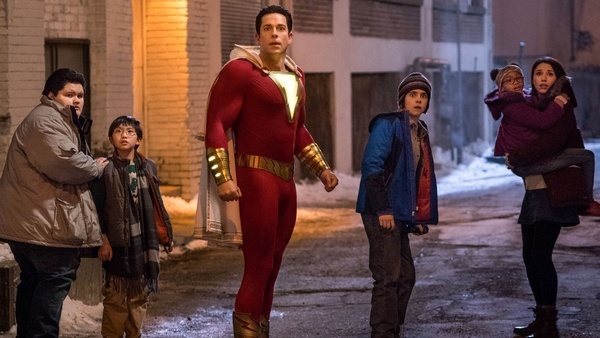 Home » Films » 2019 Shazam Review: From a kid to a superhero! To be fair, DCEU seems to have a comeback recently with some good shows and movies like the 2018 TV shows Titans, Wonder Woman, and Aquaman. And with the reveal of Shazam 2019 and especially Joker 2019, DCEU fans and movies in general are quite intrigued to see how DCEU will “redeem” themselves. Starting with 2019 Shazam this year, let’s have a Shazam review and see how good DCEU is performing this time! 1. What is 2019 Shazam? Frankly speaking, the name Shazam may not be as popular as other famous figures like Superman and Batman. But in DC hero pantheon, he is one of the most prominent heroes especially in the Justice League. Originally, Shazam was actually called Captain Marvel (yes, and he was called like that way before Marvel Comics’ introduction of their own Captain Marvel a.k.a Carol Denver). 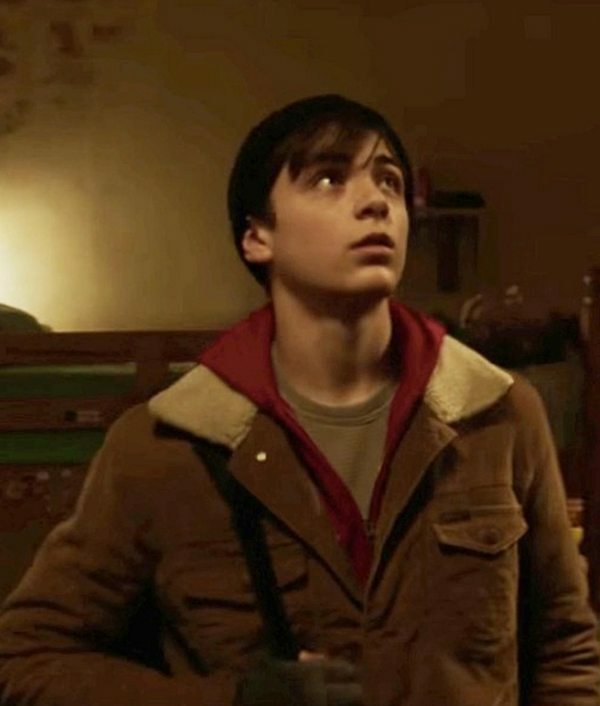 His origin is pretty much the same throughout DC history: He is a young orphan named William Joseph “Billy” Batson who wandered Fawcett City as a newsboy. But then one day, he met a powerful wizard named Shazam who chose Billy to be his champion of good. When Billy shouts the name “Shazam”, he will transform into an adult superhero with the powers of 6 deities: S – for the wisdom of Solomon, H – for the strength of Hercules, A – for the stamina of Atlas, Z – for the power of Zeus, A – for the courage of Achilles, and M – for the speed of Mercury. At first, Shazam was known as Captain Marvel for quite a long time until Marvel created their own version of Captain Marvel. Ultimately, DC had to officially name this character as… Shazam in order to avoid copyright conflict with Marvel Comics. Similar to what MCU did, DCEU also learned the same plan by producing movies to introduce DC characters, featuring films like Wonder Woman and Aquaman. 2019 Shazam is no different as it brings Shazam to the live-action landscape for the first time ever. Judging by the trailers, it seems they still keep Shazam’s origin story mostly similar to his comic counterpart. In short, Billy Batson (played by Asher Angel) is still an orphan; however, he seems to be a troublemaker. He also got adopted by a number of families in the past, but due to his distant personality, he could not get along well with any of those foster families. Even so, his life finally changes when he gets adopted by the Vazquez family. Here he meets Freddie (played by Jack Dylan Grazer) – a fellow foster kid of Vazquez family who is a big fan of superheroes. Then one day, Billy rides a sub-train but soon found the train to arrive at a bizarre underground cave. 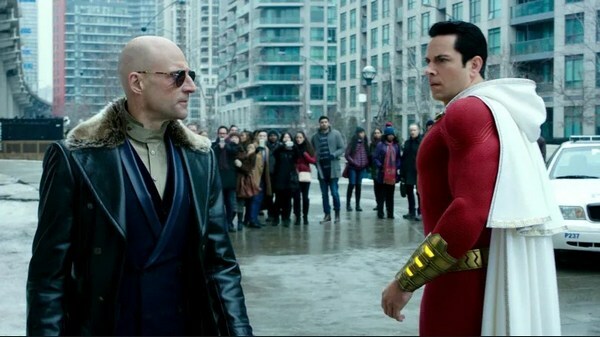 Here he meets Shazam (played by Djimon Hounsou) – a proclaimed powerful wizard who grants him the power to become a powerful grown-up superhero (played by Zachary Levi). Suddenly gaining superpower is one thing, but what is Billy supposed to do with this “gift”? In that case, who can be a better advisor than his fellow foster friend – Freddie? 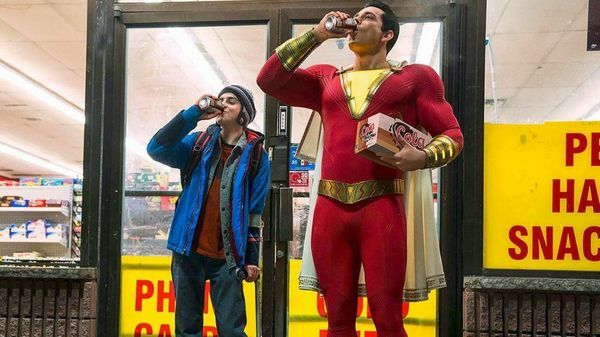 2019 Shazam starts on air on April 5, 2019 and so far, the early reviews are saying that Shazam 2019 is really in a good shape. And so with no further ado, let’s get onto 2019 Shazam review! Before we get into the details, we have to say this: 2019 Shazam is an extremely fun movie! It is so great for what it is! And as many people can already guess: this film purposely targets children audience. The film really understands what it wants to be and how to meet its viewers’ expectation. 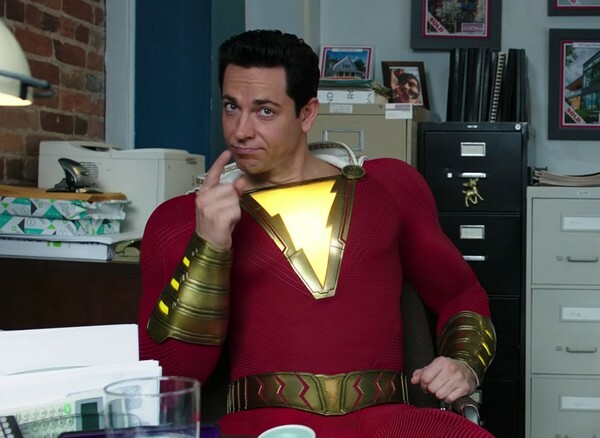 If you already had a good time watching 2019 Shazam trailers, you will “have to” prepare because the movie itself even has much, much more funny moments. There are so many comedies that… to certain extent it may feel overwhelming. By the way, let’s remind us all that Shazam is a comedy-centric film, it is about comedy over action. And therefore, if you wish to see more flashy battles and actions, you will probably be disappointed. So does that mean the visual is not great? Well not really. Although the budget for Shazam is quite low (about $80-$90M), the visual throughout this film is good enough in overall. It may not be all that flashy and fancy like what we commonly see in superhero movies. But, the visual, the style, and the CGI look quite decent and they will not be a bothering. Also talking a bit about of style, many people also point out that this film resembles a lot like the classic superhero films back in the 70s-80s. It feels light-hearted and fresh, which makes it surprisingly fitting among the superhero-film landscape nowadays when there are so many heavy-themed superhero movies (not to mention Shazam’s release date is between Captain Marvel and Avengers Endgame). Now let’s discuss about the story and characters. As mentioned, 2019 Shazam tells an origin story of a DC hero named Shazam. His real identity is Billy Batson – an orphan who is known to be a troublesome kid. He was adopted by a number of foster families until he joins the Vazquez family where he meets Freddy – a fellow adopted kid who is a big superhero fan. One day, Billy “accidentally” arrives at a mysterious cave where he meets Shazam – a powerful ancient wizard. The wizard chooses Billy as his champion and bestows him the power to become an adult superhero when shouting the word “Shazam”. That said, Billy is still a 14-year-old schoolboy and for that reason, there will be lots, lots of things for him to learn about his newfound power and of course, his self. First off, we have to commend Zachary Levi in this film. He is so excellent and funny in this movie. As the matter of fact, he is the “comedy-central”. Every time he appears, we know that “good stuffs” are coming. And although he does look silly (also he is really a “jerk” sometimes), it is perfect since this is a comedy superhero film about 14-year-old child transforming into a grown-up superhero. Asher Angel also does a good job playing as Billy Batson’s true 14-year-old self. There is a nice balance between Levi and Angel, yet to be honest; Levi is so much of a show-stealer that we kinda miss him when he does not appear. Aside from the extremely fun comedy aspect, there are also emotional moments in the film. Most of those emotional scenes come from Billy’s foster family. The Vazquez family feels gentle and caring. They provide a strong emotional support especially for Billy, given the fact that Billy has a serious family issue in the past. So what about Dr. Sivana – the main villain of this film then? In overall, Sivana is actually a decent villain. He has a proper background story and there is a clear reason for what he does. He does not suffer from “MCU’s villain problem” in which the villains tend to be extremely boring with no coherent story or personality. 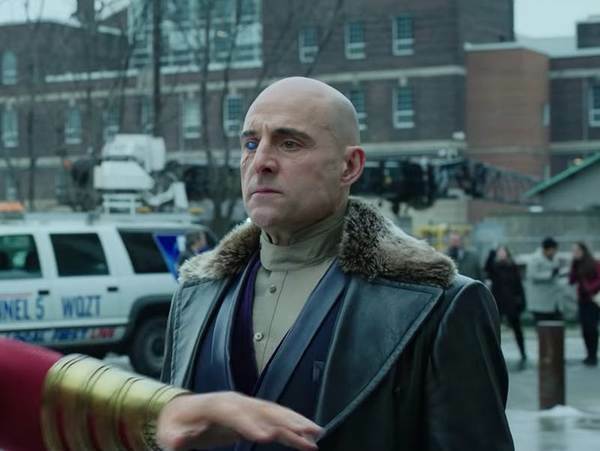 The biggest gripe with 2019 Shazam’s villain though is that: there are so many things happened to Sivana which are now showed on screen. It creates a pacing issue in which audience finds it difficult to keep track on what’s really happening. Aside from this problem, some people also feel that the music in the film somehow does not match the context all the time. However, this can be considered as small nitpick given the fact that this film is really self-aware. This film knows what it is doing, it knows its target audience and for that reason, we can ignore a number of its problems and still have a great fun with this film. 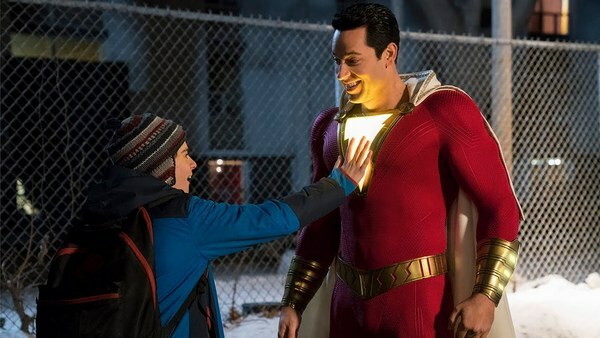 In the end, 2019 Shazam is definitely an extremely fun, light-hearted movie in which people can have a great time with it. And despite some of its issue like the pacing and probably the music, all of those issues can still be ignored due to how funny and self-aware this movie is. Honestly speaking, this movie can easily be one of the best DCEU films to date. 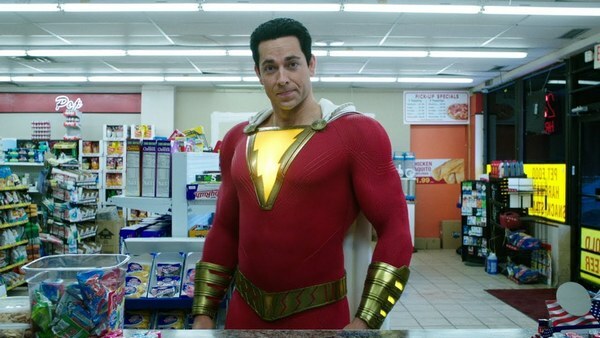 And for that reason, the final verdict for 2019 Shazam is an 8/10! And what about you? What do you think of Shazam 2019? Feel free to share with us and for now, thank you and stay tune for more news in the future!